It’s already March and you haven’t acted on your New Year’s resolution to get more active on Twitter! Perhaps all of the buzz around the Oscar selfie has inspired you. Raise awareness of a cause, event, etc. Perhaps you’ve been following some folks on Twitter but haven’t really started any outreach yet. If you’re ready to join the “twitterverse”, I’ve gathered together a round-up of blog posts and other resources to help any newbie wanting to start tweeting personally or for your membership or non-profit organization. Follow lots of other people first. Don't worry, your own followers will come. Do not tweet a whole bunch of times all at once. Tweet frequently, but don't act like a spammer. Do promote your own stuff, but make sure that it is only a moderate percentage of what you are tweeting. Thank people who retweet you. You can use Twitter DMs (direct messages) to do so, but public thank yous to several people at once work well. You’ve heard what to do to get started – but this post offers some cautions about what not to do. 1) Following others without having yet uploaded an avatar. 2) Not entering your nonprofit’s website. 7) Posting all marketing content. Jill lists 10 hashtags, including: #activism; #causes; #nptech and; #socialgood. Check out the post for the full list of 10. Allyson offers some data on “Recommended Tweet Length to Generate ReTweets”; “Effect of Hastags on Retweets”; “Images impact on retweets” and more. 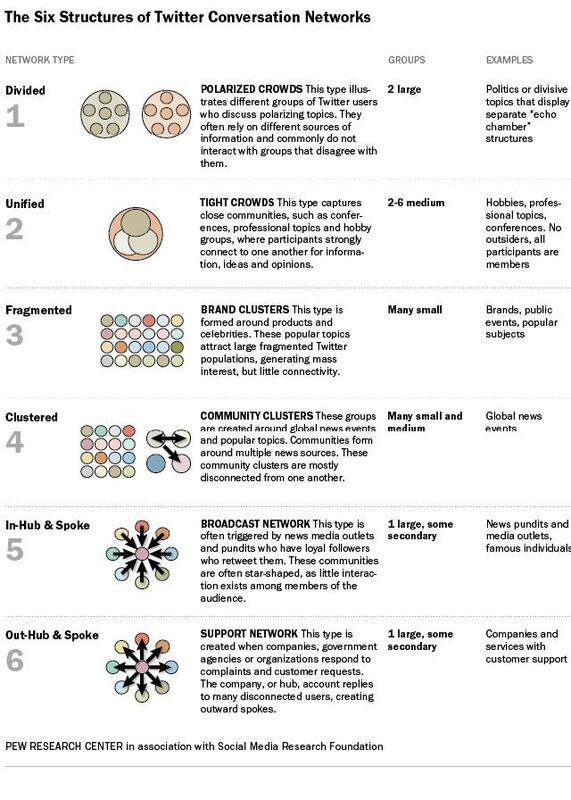 Recently, the Pew Research Center, in association with the Social Media Research Foundation, released a new report that “provides an aerial view of the social media network.” The researchers analyzed thousands of Twitter conversations and identified six different conversational archetypes - which they outline in an infographic (click on the thumbnail to check out the full blog post & infographic). 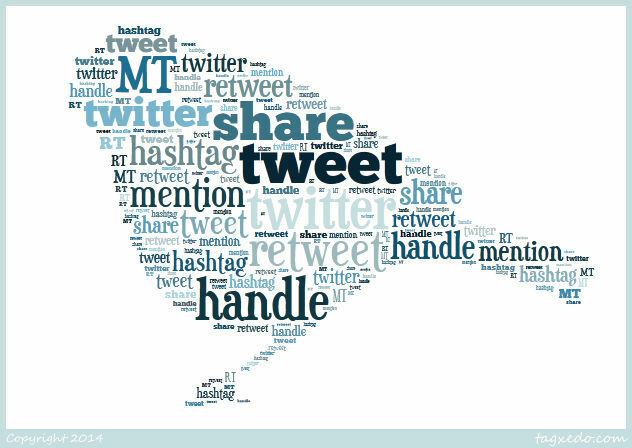 We hope this rich resource round-up helps you start tweeting up a storm!